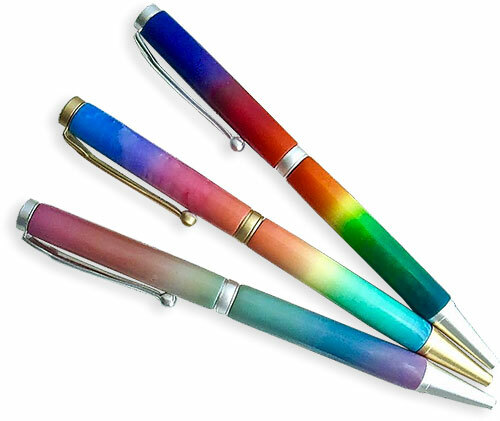 The slim profile and clear blended colors on Deb Hart’s twist ballpoint pens put them a cut above others. These are class samples from her second session in the RainbowBlend series. She turns well mixed Skinner blends into design elements that stand on their own. 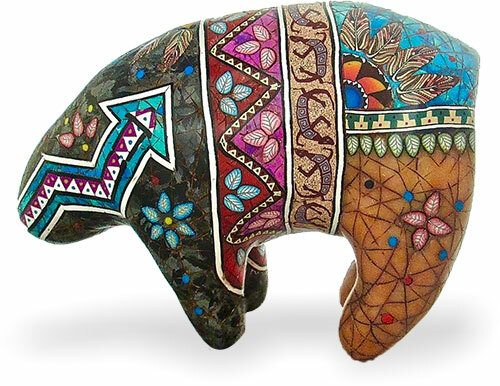 Her March workshop for the Arizona guild features tips for making cane inlaid sculpted animals with a definite Southwest flavor. Deb is on a roll! See what she’s up to on Instagram and Etsy.